Manhattan, NY—During his speech at the launch party for the world’s first television channel dedicated to atheism content, Atheist TV, American Atheists President Dave Silverman announced that author, activist, politician, and public speaker Ayaan Hirsi Ali will headline for the American Atheists annual National Convention next April 3–5 in Memphis, Tennessee at the Peabody Hotel. Hirsi Ali, who escaped an arranged marriage in her native Somalia and was granted refugee status in the Netherlands, went on to become a member of the Dutch Parliament and is now a U.S. citizen. She lives under a fatwa and is known for her outspoken activism against female genital mutilation, child marriages, and religious violence. Hirsi Ali made headlines in April 2014 when Brandeis University announced it was rescinding its offer of an honorary doctorate because of Hirsi Ali’s harsh criticisms of Islam. 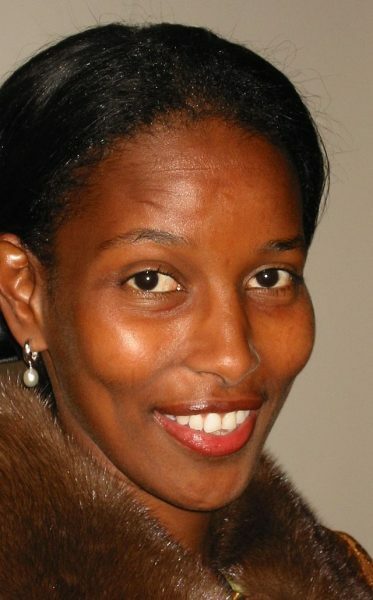 Hirsi Ali has called Islam “a destructive, nihilistic cult of death.” Following the announcement, Silverman, an alumnus of the school, wrote an open letter to Brandeis President Frederick Lawrence withdrawing his membership from the school’s alumni association and condemning the university for caving to religious pressures. Early bird registration is now open for the 2015 National Convention at atheists.org/convention2015. Additional speakers and program details will be announced in the coming weeks.